station in Beijing, China, on March 9, 2016. There's more to it than just bigness. Speed counts, too. Almost 72,000 passenger electric vehicles, or EVs, were sold in China in April, up 136 percent from a year earlier, and almost four times as many as were sold in the U.S. 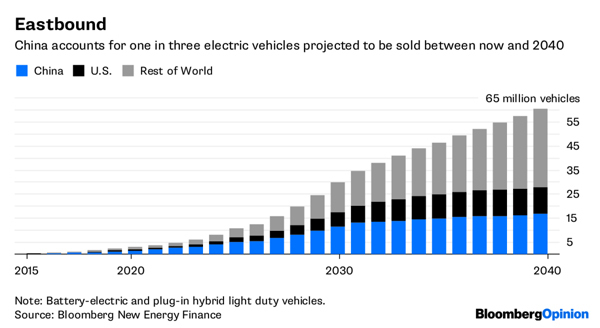 When BNEF released its outlook last year, I made the point that a key moment to look for was not when EV sales overtake traditional vehicles, but when EV growth begins to account for all growth in the entire market. 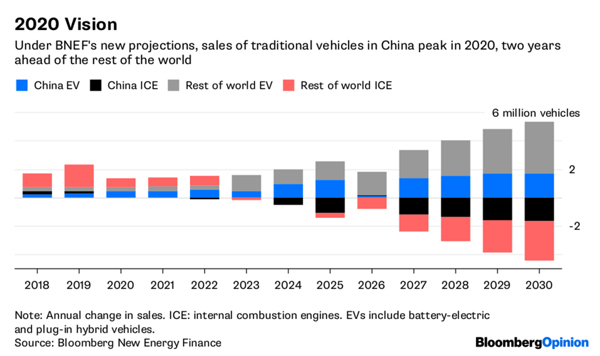 At that point, sales of regular vehicles with internal combustion engines (ICE) will still dwarf those of the upstarts, but will have begun to decline — with big implications for investment in and further adoption of EVs. In last year's projection, that moment occurs in 2026; in the latest forecast, 2023. That's mostly due to China. 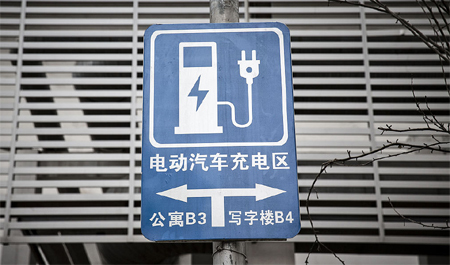 China's EV market is supported by the country's New Energy Vehicle subsidy program, which was tweaked recently to favor longer-range and more efficient models. China has good reasons to promote EV development at home, including cutting local pollution and mitigating dependence on imported oil. Also important is the opportunity for the country to seize leadership in a new industrial field, rather than just play catch-up in old ones. As I argued here , manufactured energy plays far more to China's strengths than the extracted kind championed by its “energy dominance” -favoring rival across the Pacific. The entire case for optimism on EVs rests on the continued decline in their cost, especially for batteries. 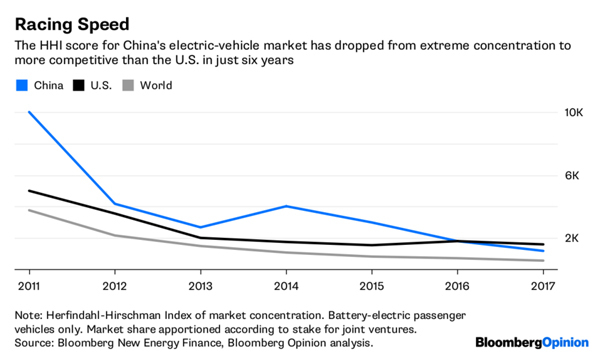 So the rapid emergence of competition in the biggest growth market for these new vehicles is perhaps the single most important factor working in favor of EVs worldwide (see, for example, what China did for solar panels ). The flip side of this is what it means for oil. Here, again, China's role goes beyond its mere size. In a special supplement to this year's EV report, BNEF also projects what the adoption of EVs, electric buses and autonomous vehicles means for road-fuel consumption. Overall, these technologies remove 7.3 million barrels a day of demand by 2040, according to BNEF's forecasts. 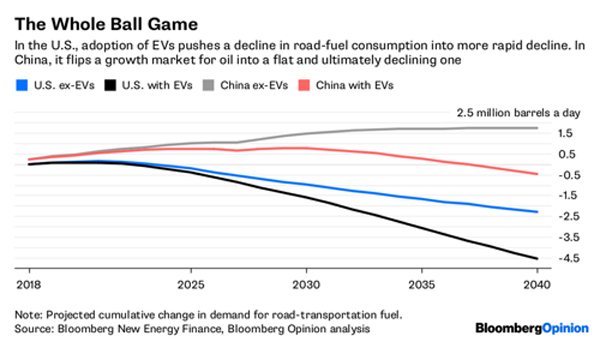 The striking thing in that projection is that while EVs compound the expected decline in U.S. road-fuel demand, in China they turn a growth market into a profile of flat to declining consumption. Growth in Chinese demand for oil is no longer as dominant a factor as it was a decade ago, but it's still projected to account for more than a third of global growth through 2040. If BNEF's updated projections prove directionally right, EVs would put a significant crack in those expectations. This is the ball game. Liam Denning is a Bloomberg Opinion columnist covering energy, mining and commodities. He previously was editor of the Wall Street Journal's Heard on the Street column and wrote for the Financial Times' Lex column. He was also an investment banker. Petroleumworld does not necessarily share these views. Editor's Note: This commentary was originally published by Bloomberg 05/21/2018. 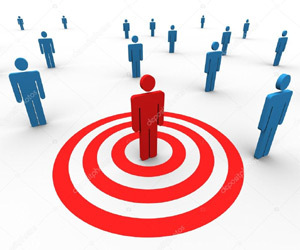 Petroleumworld reprint this article in the interest of our readers and does not necessarily reflect the opinion of Petroleumworld and its owners.